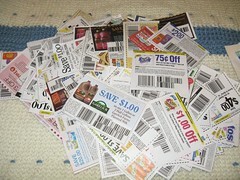 With the tough economic times more and more people are clipping coupons. Count me into this mix. JL and I work as a team to do this. He has been quite pleased with the amount that I have saved using coupons at places like CVS, BJ’s and the grocery store. 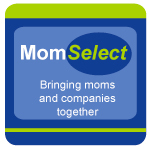 This was great when we first started to be serious about couponing, but we quickly outgrew it. There were not enough sections for different categories. Plus when we began buying extra Sunday papers it was filled too quickly. Here is a fresh new pile of coupons that I cut yesterday and another stack of inserts ready to be done. 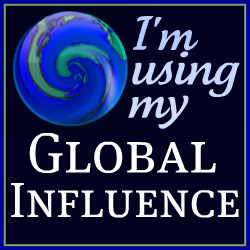 Many bloggers have been talking about systems to use with coupons. 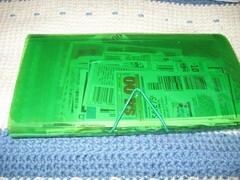 Several mentioned binders and baseball card holders for the coupons. We had the binders and tabs already at home. A week or two ago we bought the card holders. This weekend we finally started the process of moving things into the binder. 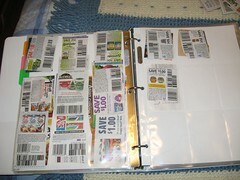 I usually pull out the soon to expire or expired coupons, cut new coupons and JL organizes them into the binder. It is a great system and we hope to save even more with it. 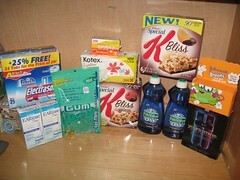 Here is what I bought on my most recent CVS trip. I was using the old coupon system. 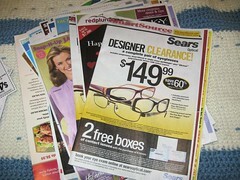 I had coupons from the Sunday paper, CVS coupons, and ECBs. I spent less than $2.50 out of pocket on everything in the photo. 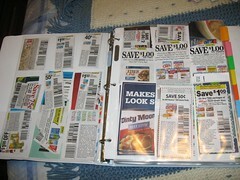 Hopefully with this new coupon binder we will be able to save even more! Okay, can you teach me how to do this? Every time I try I end up spending more money than I would have. And what are ECBs? I know nothing. Thanks. I would have to say that CVS is my new favorite store – I went there the other day and paid $1.99 OOP for Madagascar 2 – you can’t beat a deal like that!! Whoa, you are so organized!